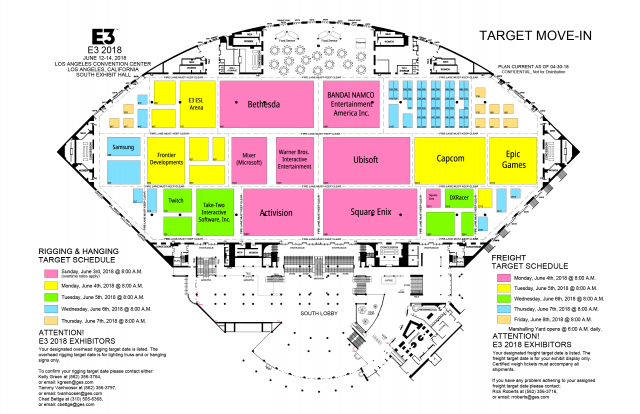 E3 2018 Floor Plans Show Larger Areas for Sony, Nintendo and More. The floor plans for E3 2018 have been released and after some cross-referencing on a Resetera thread, the size of the upcoming attendees floor space has been revealed. It’s interesting to see who has reserved the largest space at this year’s E3. 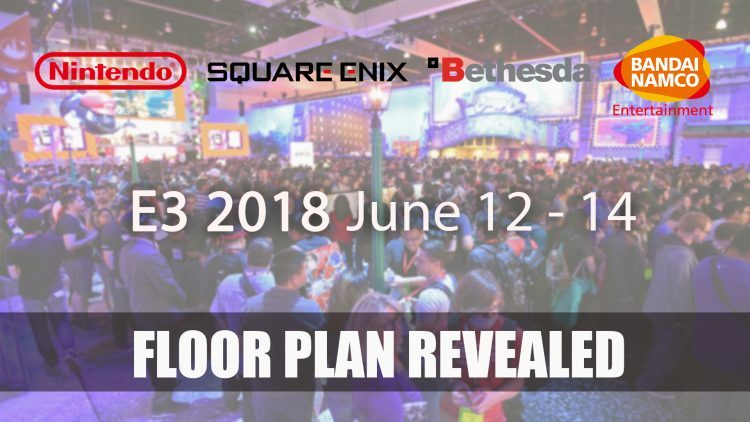 It’s not a secret anymore as to what attendees are taking up the most space at E3 2018, as we see the names Bethesda, Bandai Namco, Ubisoft, Activision and Square Enix among the larger floor plans that are taking center stage. After a user on Resetera took the time to cross reference the booths with the corresponding attendee from other major shows such as CES 2018. 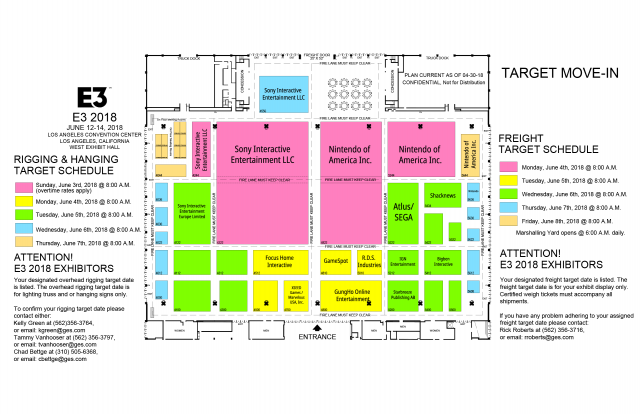 But that’s only the South Hall, the West Hall has even larger areas reserved for Sony Interactive and Nintendo which look to span almost fifty percent of the floor space. These two developers will be hard to miss this year. With a few names missing from this year’s E3 including EA and THQ Nordic, choosing to forego either for their own press event or attending Gamecom and PAX West instead. Whether the size of the floor space reserved corresponds with the size of the projects each of these developers have been working on we’ll have to wait for this years E3. E3 2018 will take place from June 12-14 in Los Angeles. What are you looking forward to this E3? Let us know in the comments below. If you enjoyed this article be sure to read Nintendo’s Share Plans for E3 2018 to see what’s coming. For a rundown of the latest news check out our Top RPG news and don’t forget to check out the Top 5 RPGs this month.